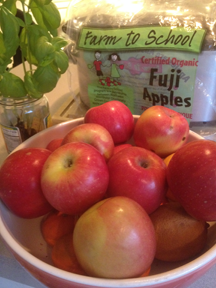 If you follow my Facebook or Twitter page, you might know that I picked up some apples from the farm to school program and have been threatening to blog about them for some time. I do love the apples and the local program is blog-worthy by itself but this is a recipe blog so I'm stayng in my wheelhouse. Unfortunately, the apple-a-day rule usually takes over and there are none left to incorporate into my recipes. This time I bought some fresh and made this to serve with a ladies lunch. 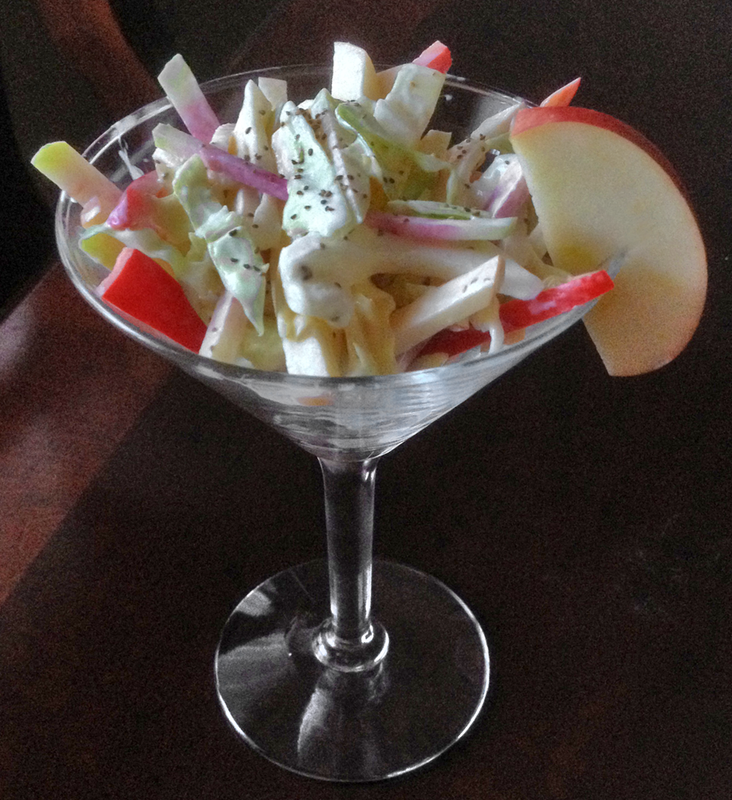 Apple slaw is so easy and it takes very little time to prepare. If you make coleslaw you probably noticed the absence of sugar. You wont need it, the apples and red pepper add all the sweetness you need. That pretty watermelon daikon added lots of color but was also peppery compliment to the slaw.